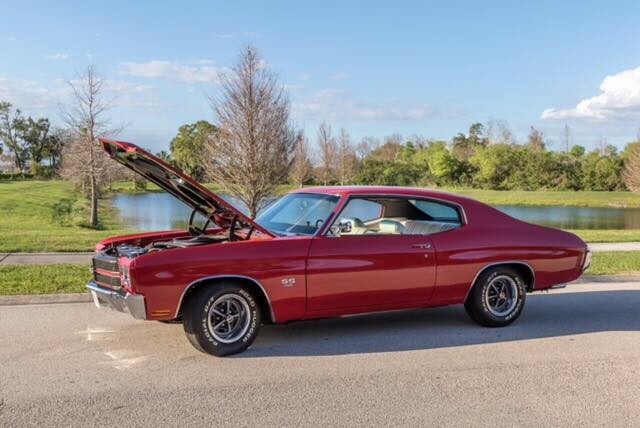 Now available by The Motor Masters is a 1970 Chevrolet Chevelle SS for sale. It’s difficult not to get enthusiastic about serious big block muscle and A/C comfort wrapped in Cranberry Red iconic sheet metal. 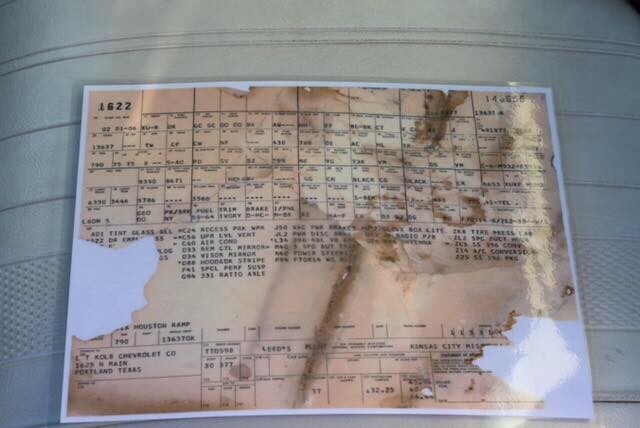 It’s the reason you checked in to look into this 1970 Chevrolet Chevelle SS 396… and it’s exactly why it will stop everyone else on the streets. 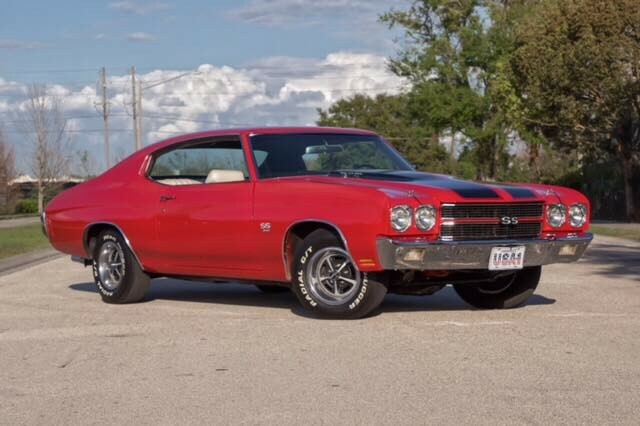 When you know muscle cars, the 1970 Chevelle coupe is your dream machine. 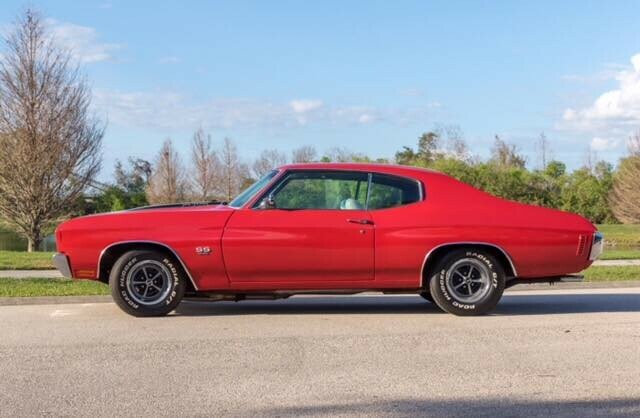 These ’70 models seem to represent both smooth and muscular all in one glance. The fastback bodystyle really shows the best for the period correct 1970 Cranberry Red. Why do the curves shine so brightly? Because you’re looking at a modern clear coat application. Those bumpers are also so nicely integrated into the body. While this one has a dual exhaust, you don’t have to turn the key to be terrifying. 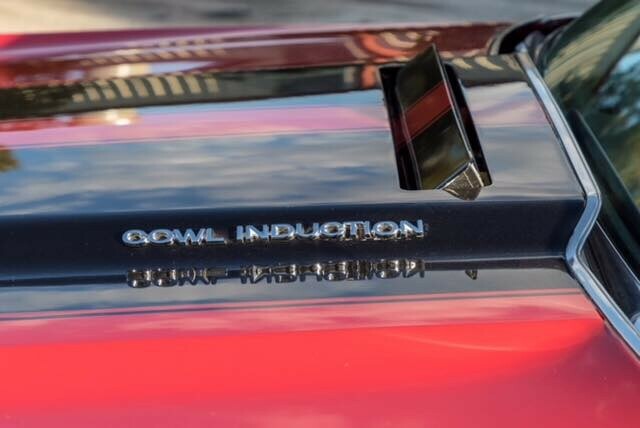 Many other things are striking with this Chevelle, such as the black dual SS stripes, blacked-out grille, hood pins, Mag-style SS wheels, and power bulge in the cowl induction hood. All are part of why you know the Super Sport is king. 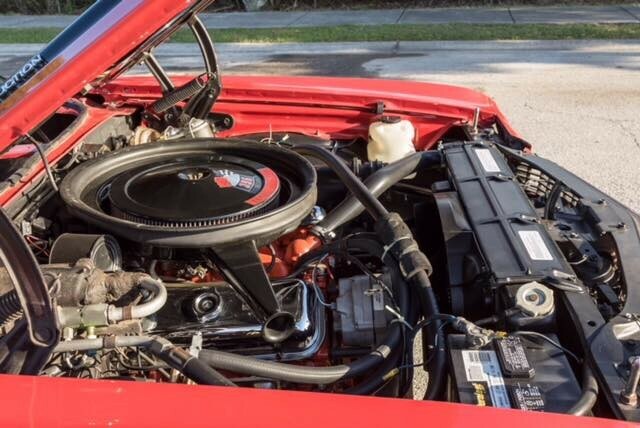 Under the hood you will see plenty of big block power. 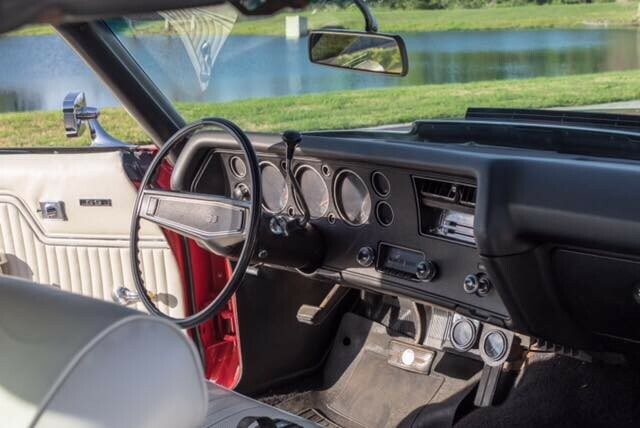 The shiney block, bright valve covers, and matching air topper are exactly what makes this muscle car. But take a few moment to view the details. The alternator, hoses, belts, wires, brake booster, and much more show a good investment. 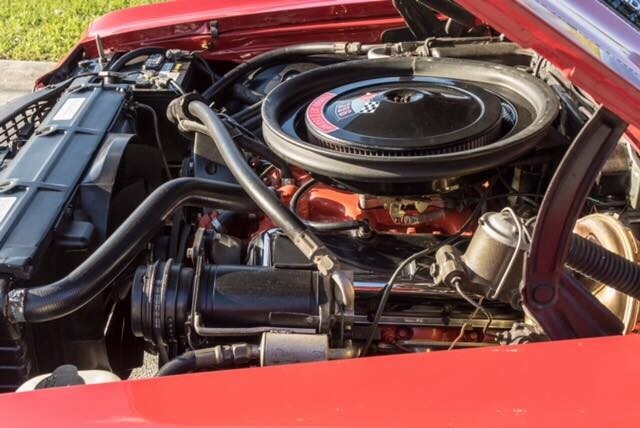 More than just looks, this big block 396 CC V8 inhales deeply through a Holley four-barrel carburetor, and it exhales with authority as long tube headers feed the thunderous dual exhaust. Not only does the Flowmaster stainless exhaust stand out, but you’re also going to love all the correct SS features, such as the reinforced sway bars and trailing arms front & rear. Take into account the three-speed automatic transmission, power steering, and front disc brakes, and you’ve got a great total cruising package. 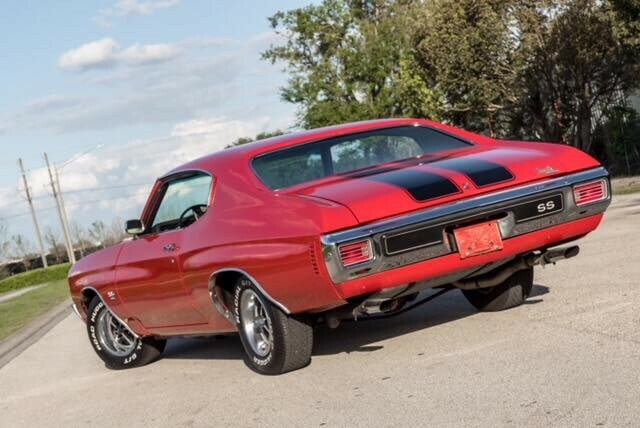 This 1970 Chevelle SS is Cranberry Red. A Matching Numbers SS with a 396. 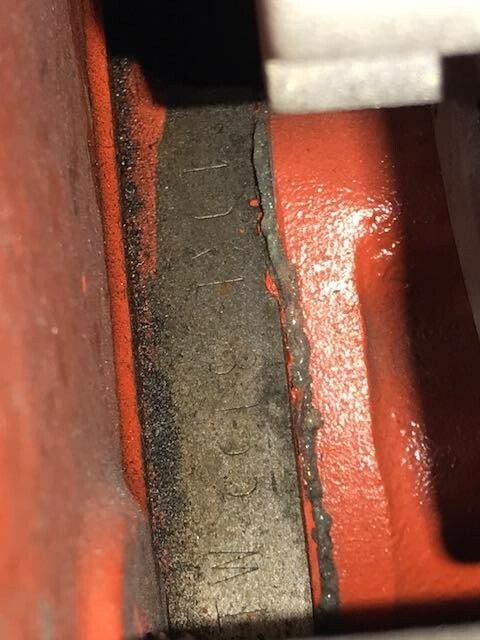 Automatic Transmission, Original Build Sheet, Original AC that’s cold, Factory Color Code 75… Cranberry Red Car. 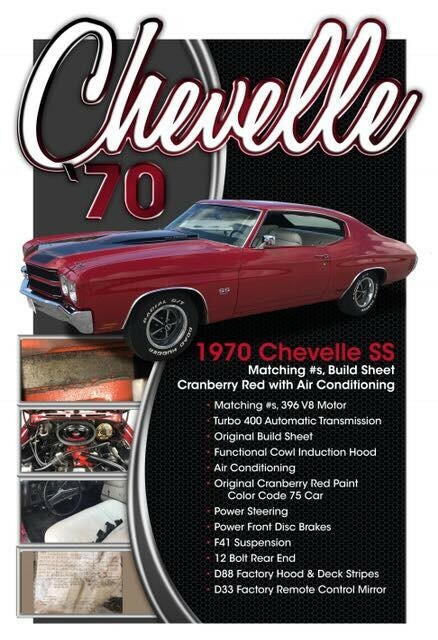 A great buy if you are a Chevelle Lover! Don’t miss out on this one so give us a call TODAY!